male pattern boldness: SAVE THE DATE -- MPB Day WINTER FROLIC 2019! We'll meet on Saturday, March 2 at 11 am outside the Fashion Institute of Technology (FIT) museum. At the museum we'll catch not one, but TWO exhibits: "Fabric in Fashion" which opened in December, and the upcoming "Exhibitionism: 50 Years of The Museum at FIT" which, frankly, sounds fantastic. The museum is free. You can take plenty of photos, you are not allowed to take the garments themselves, tempting as that might be. If you arrive early, there are bathrooms in the museum if you need one. Directions to the museum are here. We'll be grabbing lunch at 12:30 pm at Panera Bread, just half a block north of the museum. We generally occupy the entire upstairs eating area, so if you're arriving late, expect to find us there. I hope you're all stoked for a pattern swap because I'm in major decluttering mode this year! 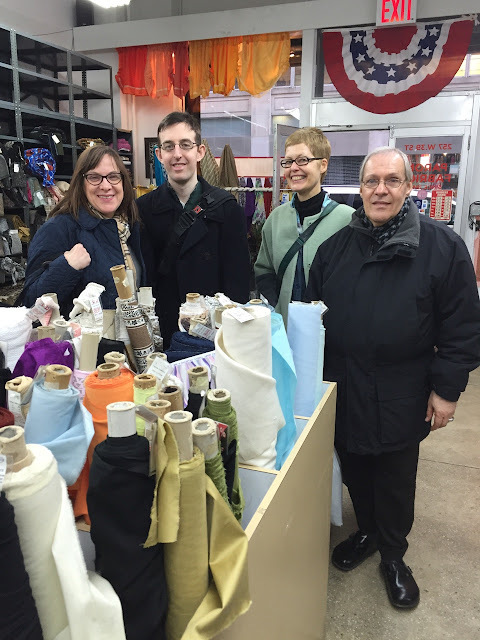 Arguably, the highlight of every MPB Day is our full-frontal attack on the Garment District. I have some new places on my shopping list I'm very excited about and let me know if there's any special place you'd like us to visit. Some of my favorite stores, including New York Elegant, Fabrics & Fabrics, and Chic Fabric have new digs and we'll want to check them out for sure. 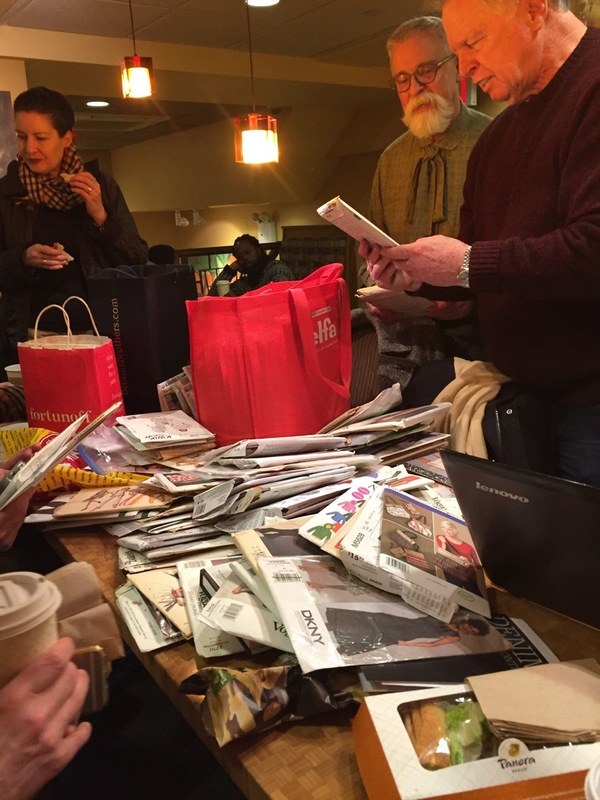 Around 4:30 pm, we'll meet either outside in Bryant Park (if it's not too cold) or in a nearby spacious cafe (location to be determined). Inside or out, we'll rest our weary feet, re-hydrate, and enjoy a little shopping "Show-and-Tell" till it's time to say bid adieu. 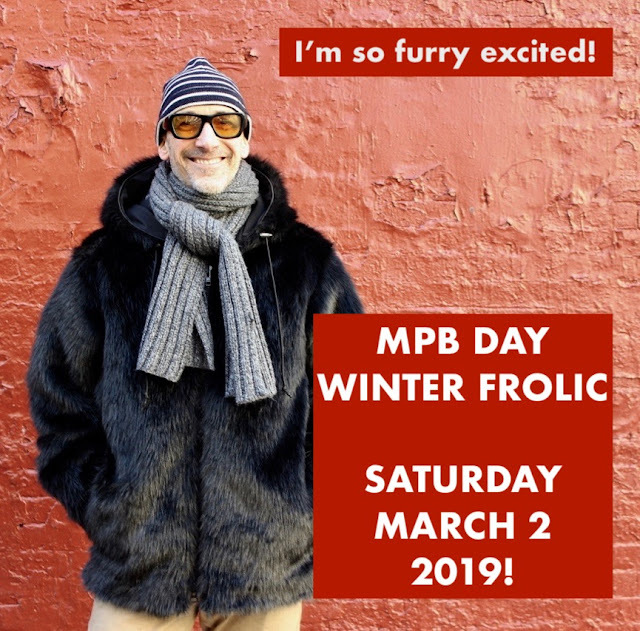 The MPB Day Winter Frolic is a free event, but you'll want to bring some money for lunch, souvenirs, and, naturally, fabric. I know that everyone will have a great time. Wish I could be there too. Can't make it 'cause I'm holding out for the MPB World Cruise. Augh, loved the august trip - my first. will have to miss this one as its busy season at work and I am tied to my desk. See you in August? Yassss Peter! I'm excited for the return of Winter Frolic! I'll be there, possibly with bells on! Oh, this sounds like so much fun! Enjoy your frolic! I tend not to fabric shop on Saturdays, because I like to have ALL my options open, but this does sound like a blast! FWIW, I'm generally able to get Metro to open for us. It would be great to have you! FYI I know Lauren of Lladybird is doing a pants workshop that weekend at Workroom Social and Meg the Grand will be attending! I'm very tempted to attend this since I was planning on bopping down to see Meg at the very least. Count me in for the Frolic. Always a good time. Thanks so much! I am looking forward to the day, I'm coming up on Amtrak from Washington DC. I am a New York Elegant fan so I'm glad that is included and I look forward to seeing their new digs, thanks! I was hoping to get to French Couture Fabrics, but it looks like they closed this summer -- that leaves me kinda bummed. But I will rally, perhaps with a stop at Elliot Berman or Metro Textiles on Friday afternoon! Hi Peter! This is Sarah Mc - you might not guess from my screen name. (I'm a Robert E. Howard fan and collect SSOC comics!) Looking forward to the Winter Frolic! Great, my friends are in a picture !!!! I must come along on 3/2/19. I found out about this event from my new Sewsister at a local community sewcial in my area and OMG, OMG, OMG, I truly looking for to attending this event! One day. 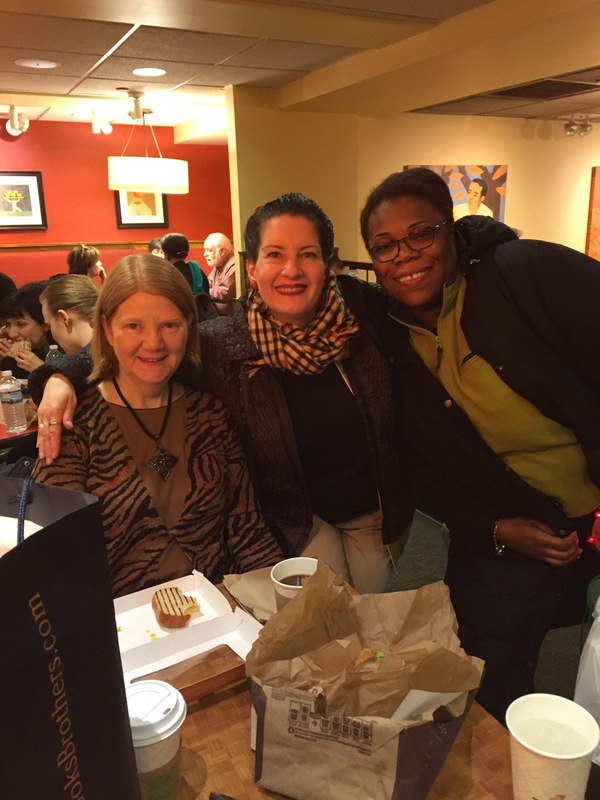 When I've made my fortunes, I will totally ditch the fam and fly over for one of your meet ups. I bet they are so much fun!